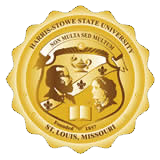 Harris-Stowe State University allows students to register with College Central Network to create a personal profile. This database will allow students to search for full-time, part-time, co-op and internship employment opportunities that are posted at Hornet Connect. A list of job postings are also posted on the bulletin boards and monitors outside the office. On-Campus Interviews: Students registered with the Center for Career Engagement may sign up for interviews for career or internship positions with employers. Interview schedules are posted on Hornet Connect. Recruitment Programs: Employers frequently visit the campus to recruit students for a variety of employment opportunities. Recruitment schedules will be posted during the Academic Year.